Ph. D.,inChemistry of Materials (2011 Oct-2014 Nov): Erasmus Mundus PhD Fellow Laboratoire CRISMAT, ENSICAEN, University of Caen BasseNormandie, FranceandLCIS, GREEnMat, University of Liege, Belgium. Thesis Title : High-Throughput Synthesis of Functional Oxide Films. Developed a high-throughput synthesis process, called Combinatorial Substrate Epitaxy (CSE), where an oxide film is grown epitaxially on a polycrystalline substrate. Illustrated CSE approach in three different physical systems. (a) Macroscopic property: Thermoelectric Ca3Co4O9 films. (b) Microscopic property: Ferroelectric BiFeO3/La0.7Sr0.3MnO3heterostructures. (c) Metastable film:Stabilization of ferroelectricDy2Ti2O7 films in monoclinic phase. Prepared dense ceramics by conventional and Spark Plasma sintering for CSE approach. Applied Electron Back Scattering Diffraction-SEM technique for characterization of CSE. Indian Institute of Science Education and Research, Pune, MH, India. CGPA:8.6/10 (8 Semesters). 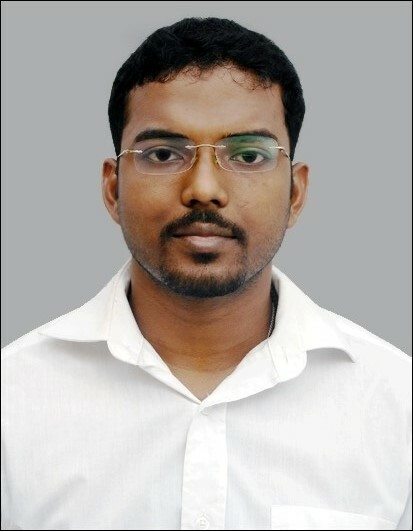 M.S Thesis Title(2010 May- 2011 March) : Multifunctional magnetic nanoparticles for biomedical application. BS projects(2007, 2008 and 2009 June-July): Synthesis and characterization of doped/un-doped TiO2 nanoparticles by sol-gel and hydrothermal methods for photocatalysis and Dye Senstized Solar Cells applications.